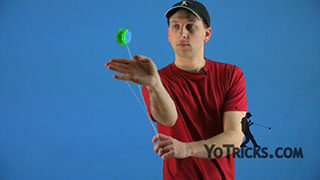 Learn the Grey Poupon 1A trick. 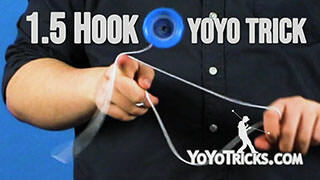 Truly a trick for those with fine tastes. 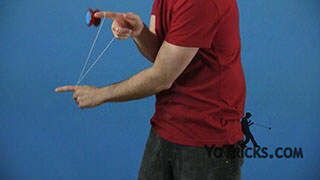 Now Grey Poupon starts with a 1.5 mount. 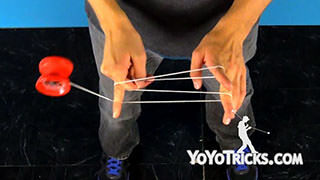 Once you are here you want to take your opposite hand thumb, put it into the loop, and then pull your thumb back so these two strings on top cross. 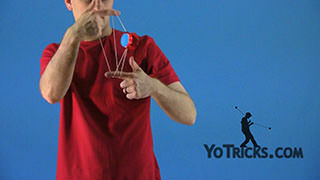 Then you want to take your throwhand bottom three fingers. 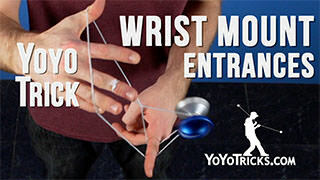 Stick them all the way out and turn your throwhand palm up. 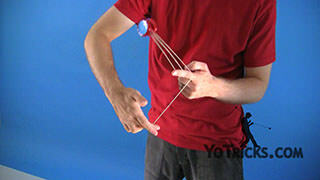 Then take this loop on your throwhand pointer finger and bring it all the way down to the base of that finger. 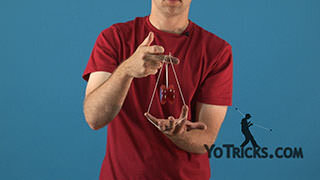 Then you want to take your throwhand thumb. 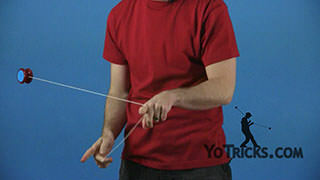 Pull this back string as far back as your can. 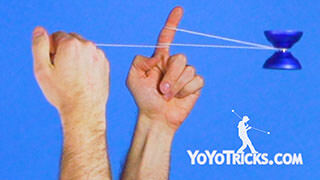 Then pinch that string between your thumb and your hand. 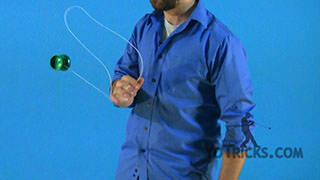 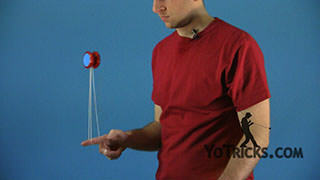 Then you can take the yoyo and swing it between these two strings, turning your throwhand palm down. 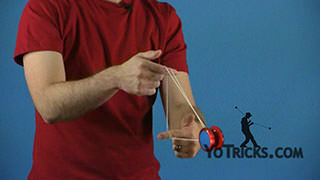 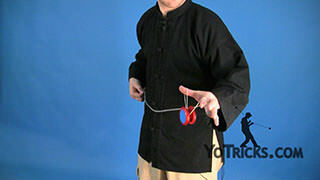 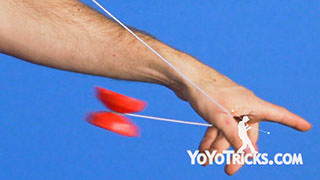 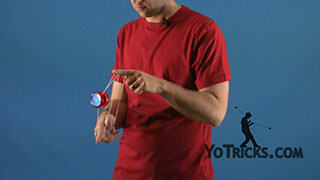 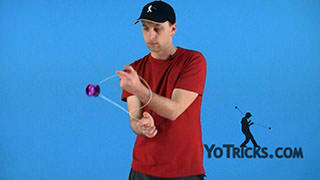 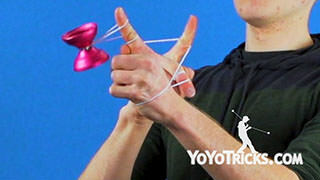 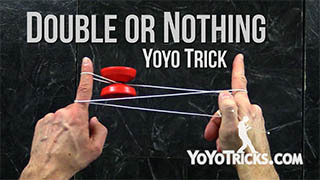 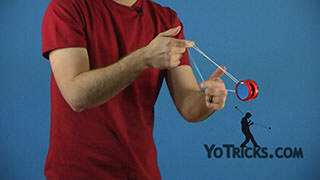 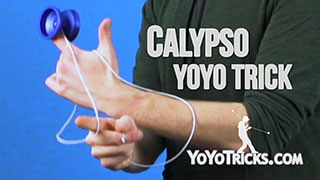 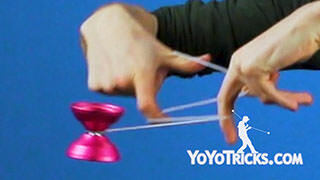 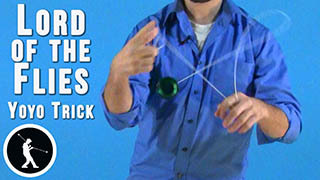 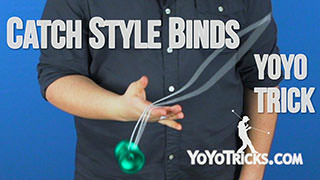 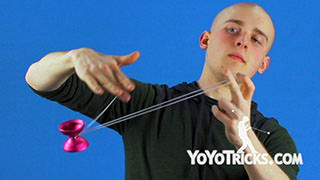 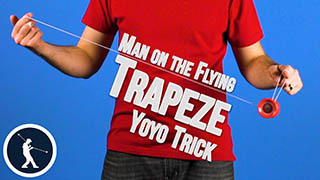 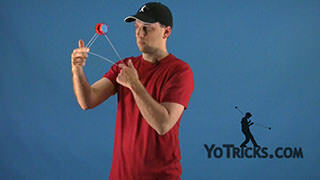 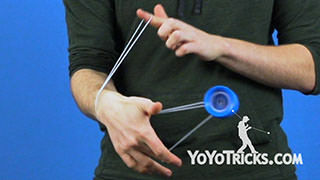 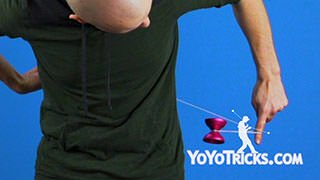 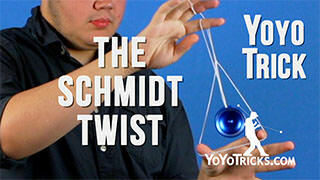 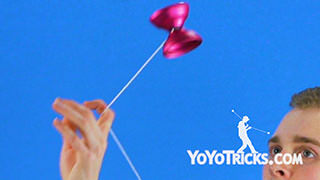 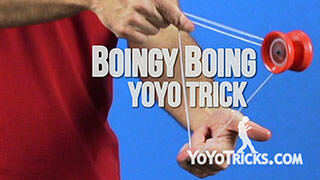 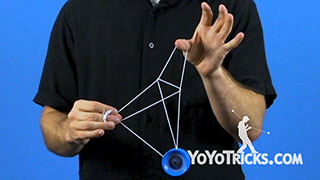 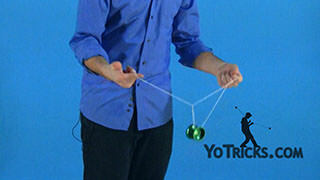 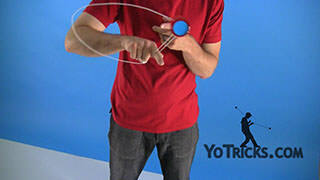 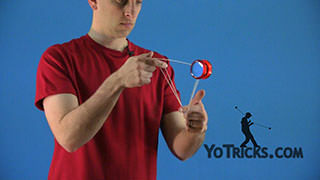 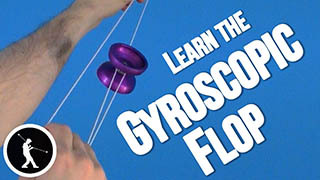 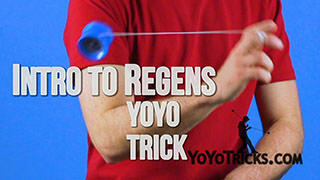 You can take your opposite hand out and you will see that the yoyo is hanging in the slack loop. 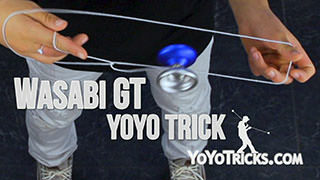 Now you will notice that the yoyo starts to precess pretty quickly, so we want to move right on to the next element in this trick. 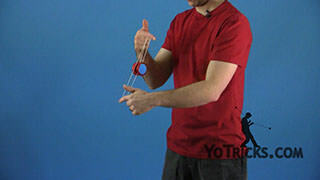 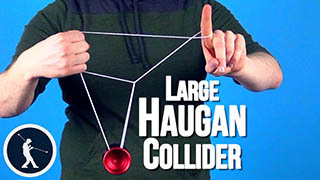 Now the next element is you want to take your opposite hand pointer finger, put it against this string that is going to your throwhand thumb and bring the yoyo over top of that finger. 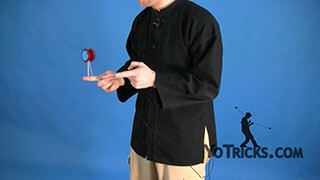 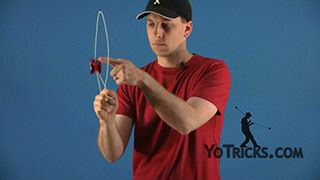 Then you want to do that one more time so swing the yoyo over your opposite hand pointer finger, landing on the front string and you will see that you are in this mini Double or Nothing. 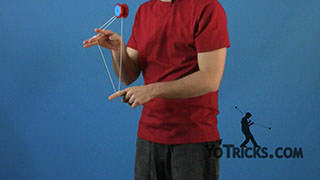 Then you can take your throwhand pointer finger, drop the string on it, and you can swing the yoyo toward your opposite hand side once, and you will see that you are in a trapeze with a slack loop in your throwhand, with the string still pinched between your throwhand thumb and hand. 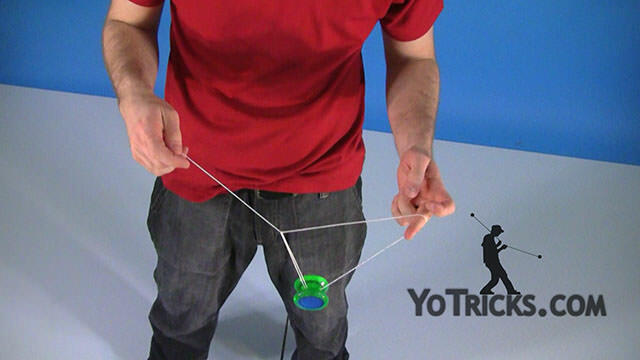 Now, going back over all those tech elements, the movements themselves are pretty simple, but you have to do them with this big old slack loop around the yoyo. 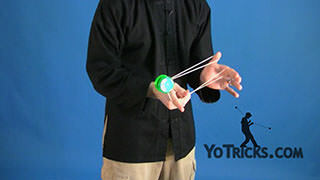 So if you find that you are hitting the slack loop while you are doing the trick, what you really want to focus on is two things. 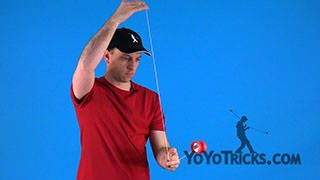 Number one, keeping this slack loop as perpendicular to the yoyo’s spin as possible. 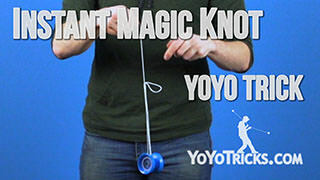 So if you are doing it like this, it is just not going to work. Also try to make it as wide as possible. 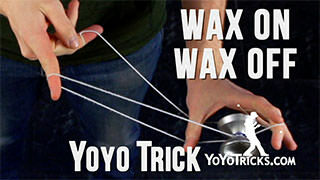 The way to make it as wide as possible is to really pull back as far as you can when you are first setting up this trick. 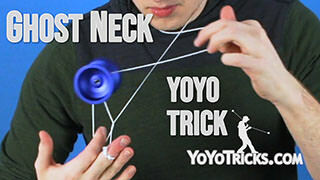 Just like how we mentioned earlier in this video. 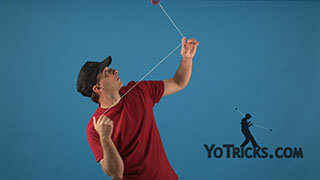 Now, once you are in this trapeze with the slack loop, what you want to do is swing the yoyo over toward your throwhand side, underneath the slack loop, so that the string leading to the yoyo touches the bottom of the slack loop and pulls it up just a bit, just like that. 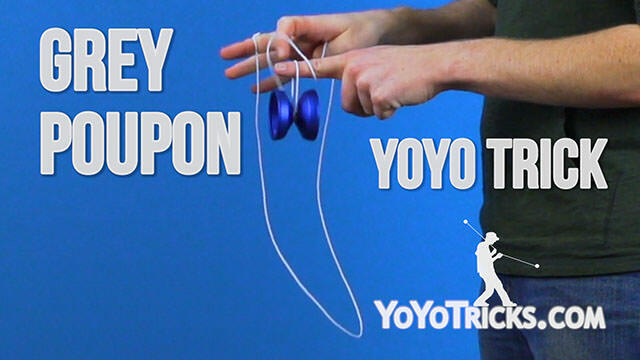 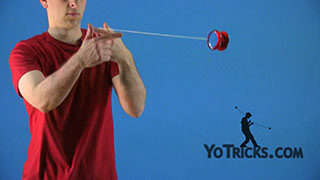 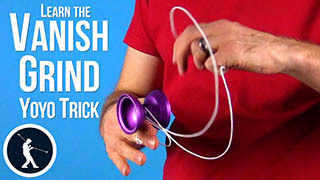 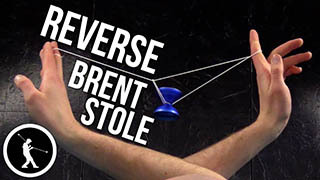 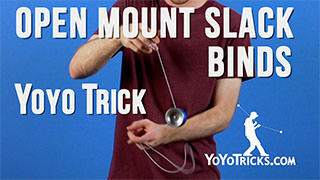 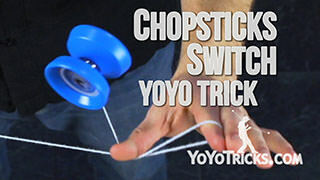 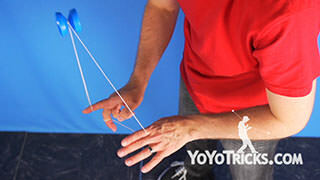 Now once the yoyo is about half the height of the slack loop, you want to take your opposite hand and jerk it towards your opposite hand side. 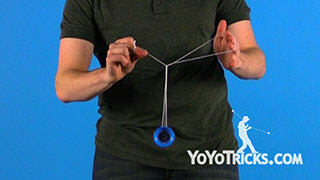 That is going to pull the yoyo through the slack loop so that the yoyo can land on the string that is leading straight to the yoyo. 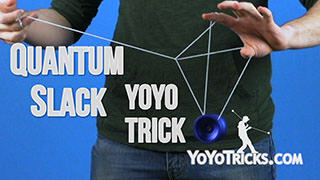 Now, this element can be pretty tricky, so I have got some tips for you. 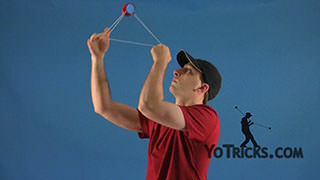 The first is that when you pull your opposite hand back, you also want to take your throwhand and move it just a little bit toward your throwhand side. 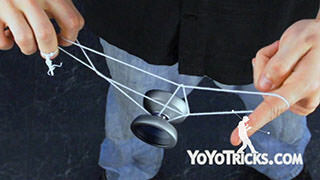 That is going to kind of hold the loose string that is leading the yoyo taut just a little bit. 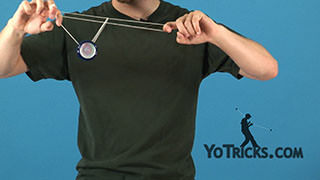 It is going to help with your accuracy. 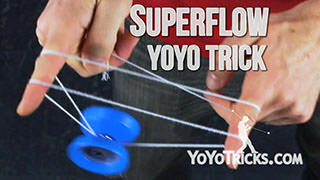 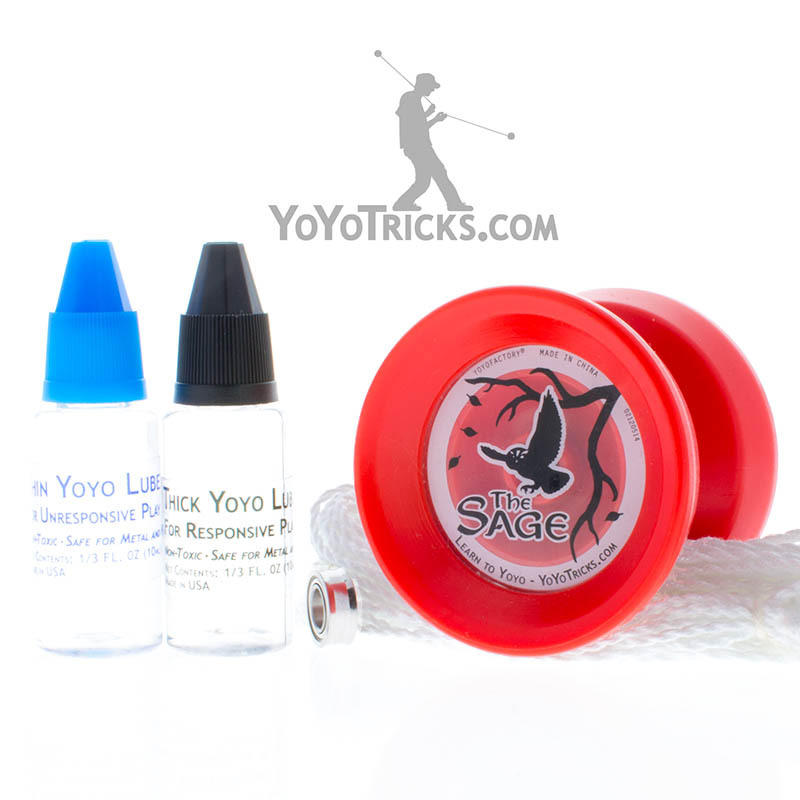 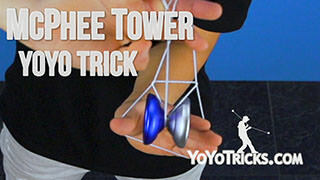 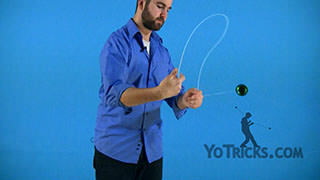 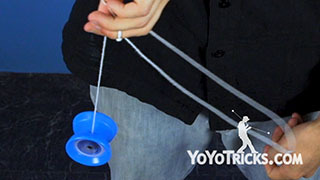 Another tip that I have got for you, just like with the eother elements earlier in this trick, is make sure that this loop is perpendicular to the yoyo and that it is nice and wide. 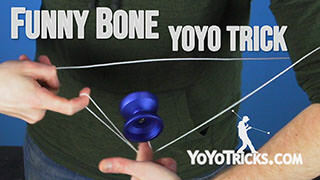 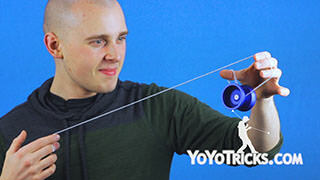 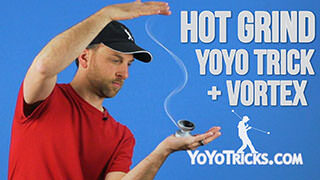 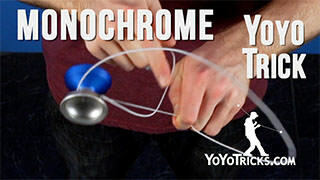 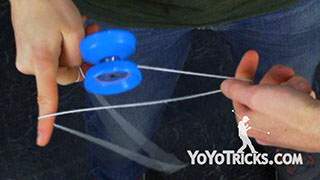 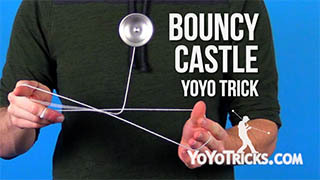 If you are trying to land the yoyo through a loop like this, it is just not going to work. 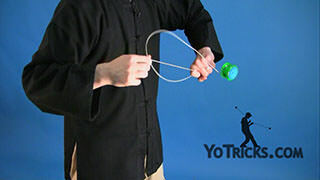 After you practice that a bit and once you have mastered it and you have landed it successfully you want to take your throwhand thumb, drop the string and you will see that you are in a Green Triangle. 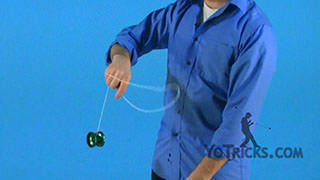 Then you can pull your throwhand up to make the green triangle bigger. 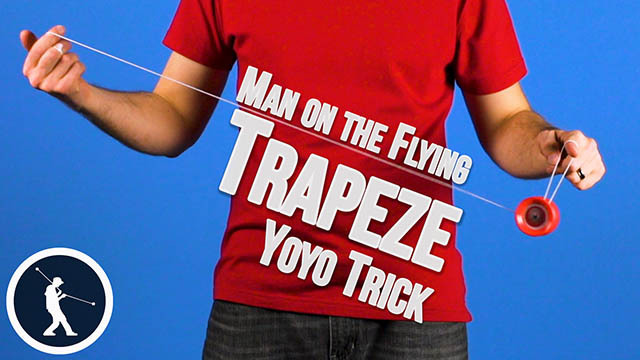 Then you can hop out the front, land in a trapeze, and perform a bind. Now all the steps in Grey Poupon are pretty simple. 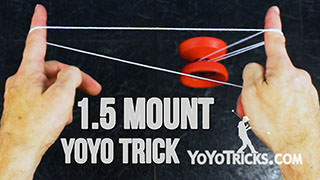 Just make sure to check your string tension and practice all the different elements, and you will find that you will have mustard the trick in no time at all.